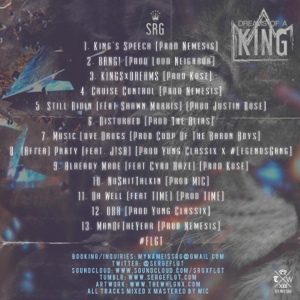 SRG – Dreams Of A King [MIXTAPE] – Be Fearless. Be Flagrant. 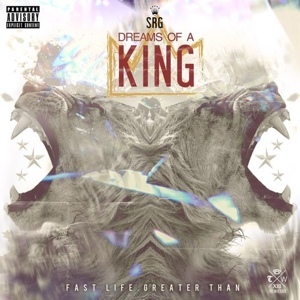 SRG is a 21 year-old artist from New York releasing his second mixtape entitled Dreams Of A King; last year he released DOPE, presented by The Legitimacy x The HipHopUpdate, to positive reviews and feedback. Dreams Of A King is a collection of 13 snapshots of the mind of this 21 year-old man with a vision, and as the title suggests, a dream to make a better situation out of the current one. From party records to braggadocious anthems to motivational records, the mixtape covers the spectrum. Dreams Of A King features production from the likes of Kose, Nemesis, Coop Of The Baron Boys, TIME, The Alias, Yungclassix, Loud Neighbor, Justin Rose and MIC. Along with features from TIME, Shawn Morris x Cyro Haze, SRG put together a project that exceeds his previous effort and is only a glimpse of what is to come. That (After) Party goesssssss tho!